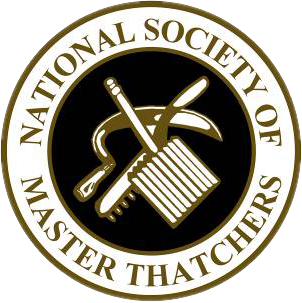 Here at Heart of England Master Thatchers, we love getting a job done to the highest possible quality. We have completed a full re-thatch on this large cottage in Grafton Regis, Northamptonshire. There was also an old worn porch that needed seeing to which we were more than happy to do. After stripping the porch back we put a more suitable tiled roof in place. We used new handmade tiles to make the porch fit in with the cottage; it looks like it’s always been there. 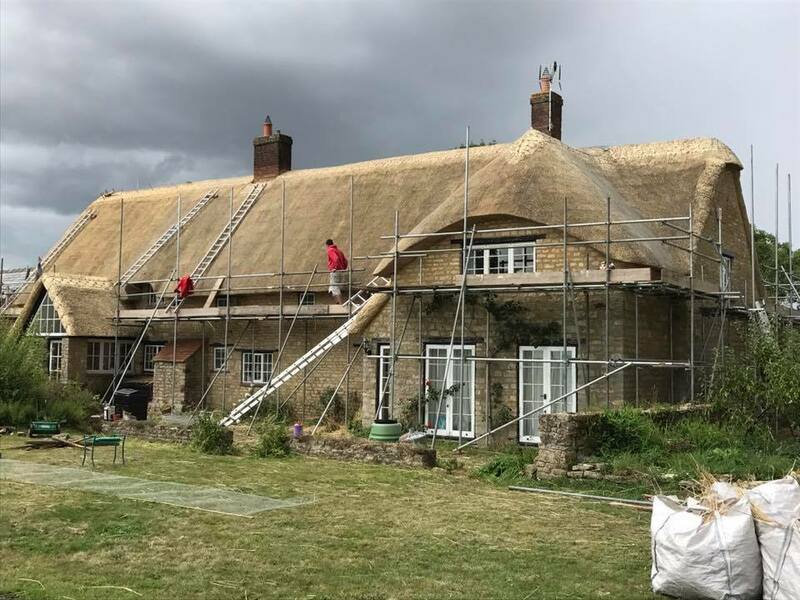 Having a full roof re-thatch is a large job and can take up to a couple of weeks to finish depending on how large the property is. 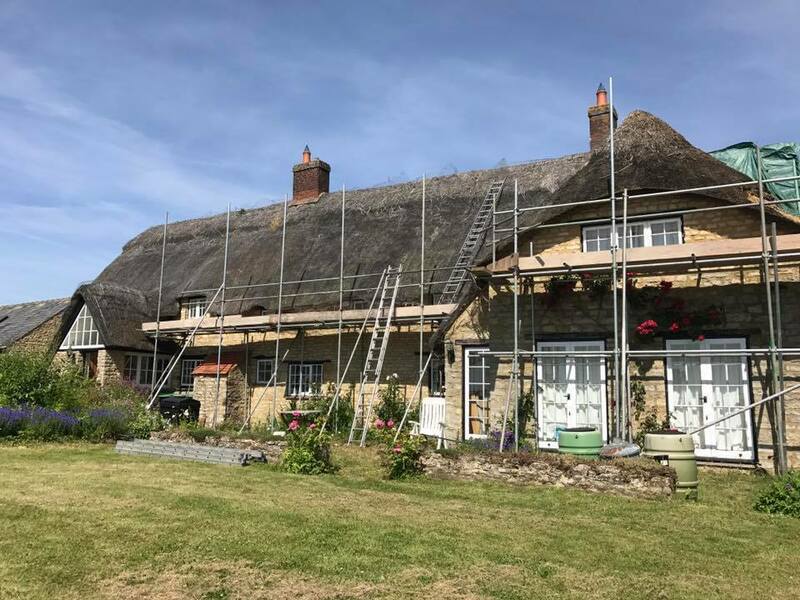 It is an important job on a thatched roof to ensure that your home is protected and the risk of having a fire is minimal. 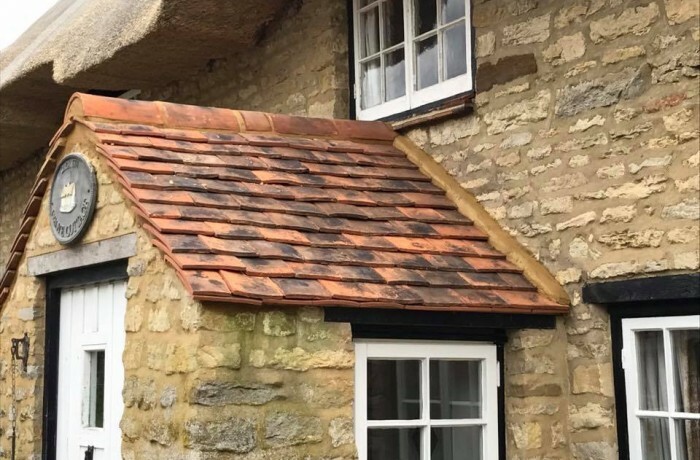 When your roof needs a rethatch please ensure you contact us as soon as possible, the longer you leave it the worse your roof can get and more damage can be done to the under parts of your roof which will be more expensive in the long run. 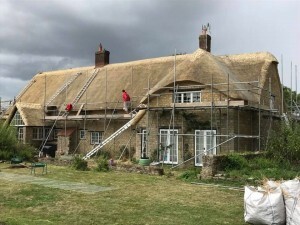 Every thatched property will need a re-thatch every 20 years (depending on the type of straw you have). The team and I were really proud to have transformed this cottage. It was a great team effort, I would like to thank everyone that helped out and have received great comments on the job. 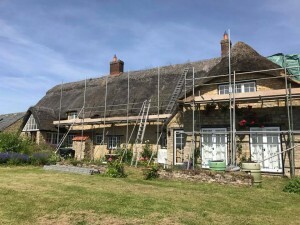 If you have a thatched roof that needs some attention or maybe even a full re-thatch then get in touch with us today.